Is your stress level rising? 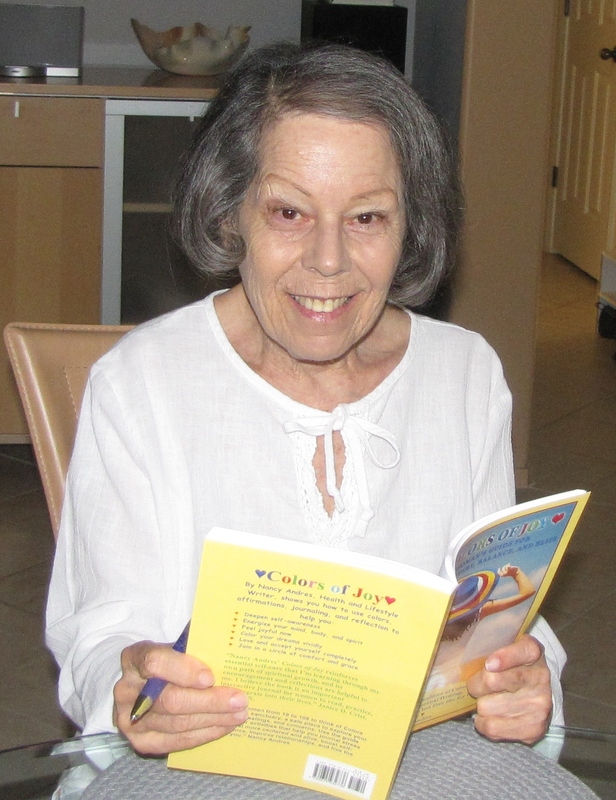 Are you living in the future, projecting about ways to create the perfect holiday season for loved ones and yourself? When I used to try to people-please family and friends, it made me feel overwhelmed and anxious. I've learned that my desire to make everyone else happy at my own expense is unrealistic and impossible. Getting bent out of shape about a situation I can't control is fruitless. Instead, this is how I let go of my expectations about having the "perfect" holiday and find Easy, Economical Ways to Really Relax. Fear not. 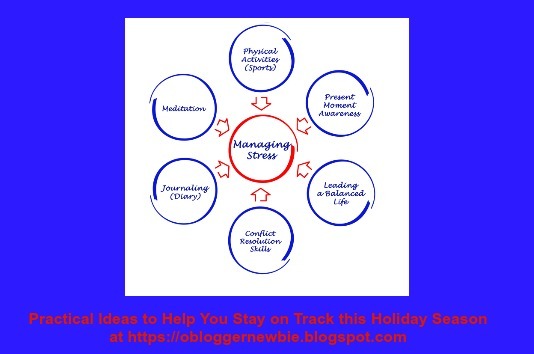 I also share tips that can help you re-set priorities for work, health, and social time this holiday season and beyond. My suggestions are designed to cut through magical thinking and see the goodness the holiday season has to offer. While you're reading, take into account that each idea has changed my behavior in a positive way. Scientific research indicates that when we engage in positive thinking, it helps change our perspective. Whenever we feel we're making progress, we're better able to recognize what's working and let go of those things that aren't. If you're a person who's on the brink of doing too much, or has already overextended your resources doing things or being with people that actually don't add to your sense of well-being, listen up. Even those who sail through the holidays and maintain their balance despite the holiday craziness around them, may learn a new thing or two about staying healthy and happy right now. Eat more meals at home. You’ll be less tempted to overload on salty, fatty, sugary foods. Prepare simple plant based whole foods instead. Make double batches of food. Freeze half and serve it on a night you’re too tired to cook. Plan to eat out and attend parties, but be careful with your selections. Limit outside food functions to one a day. In the long run, it’s better to prevent unhealthy eating and weight gain than try to cure it. Check in with Nutrition Experts to learn “The One Thing Top Nutrition Experts Do to Stay Healthy During the Holidays.” See this one too. How to Maintain Good Health this Holiday Season. 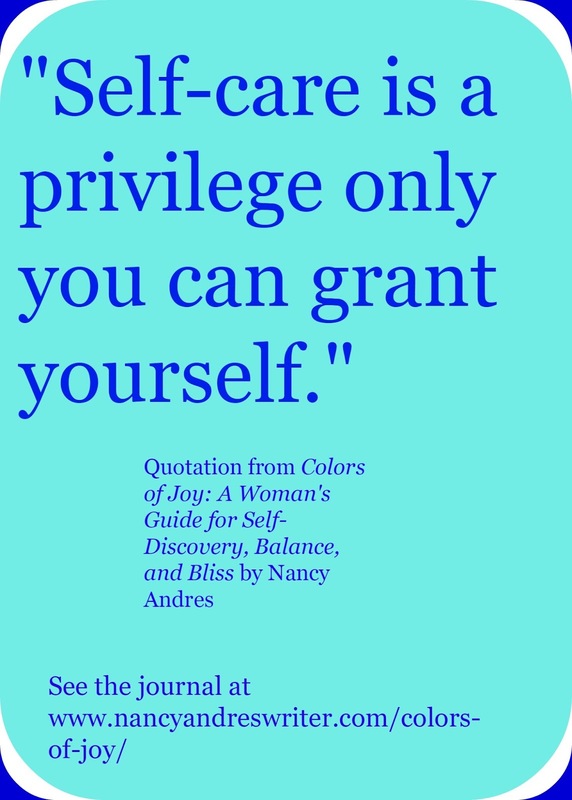 Read How to Use Your Journal to Create Self-compassion. This post shows you why journal writing can help you identify and process troubling emotions. When you're able to write things out on the page, it helps you feel less vulnerable and overwhelmed. Knowing what emotions come up about a situation or person is the first step in resolving conflict within yourself. For tips that help you develop self compassion, click the link above. Allow for down time every day. Give yourself permission to nurture yourself, before you feel hungry, angry, lonely, or tired. Practicing self-care habits like meditation, yoga, or chatting with a friend, is a requisite that restores your sense of well-being. See more at Self-care Activities to Encourage Optimal Health and 6 Ways to Shower Yourself with Kindness. 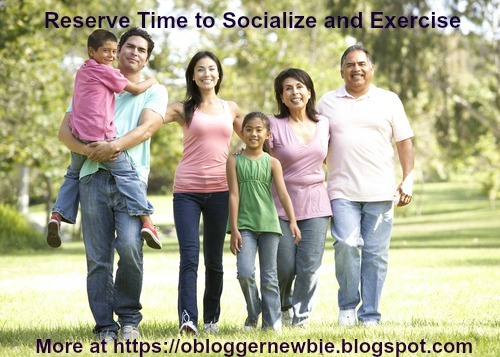 Schedule short spurts of physical activity before breakfast, lunch, and dinner. Small doses of exercise like bike riding, hiking, walking, and swimming are pleasurable and good for you. Time spent away from the kitchen and chips and dips reduces snacking. Exercise speeds up metabolism, and helps to improve circulation, digestion, and elimination. It also helps stave off moodiness. Reserve Time to Socialize. Attend a concert, movie, or participate in a spiritual or religious function with friends or family, rather than focus on food as the activity for the day. Say “no” when you need to by bowing out of tasks you really don't want or need to do. Target and follow through on what’s most important to you. In the long run, setting boundaries with others and yourself by understanding you have a finite amount of time, energy, and money to work with, avoids building up resentments and stress about holiday visiting and gifting. Get Adequate Sleep. The American Heart Association encourages you to “Try to get six to eight hours of sleep each night. If you can't sleep, take steps to help reduce stress and depression. Learn to use the color indigo and the third-eye chakra to help you get sounder sleep.. Also note, physical activity may improve the quality of sleep and life in general. Reward Yourself by Saving Room for Healthy Treats, those that don’t contain empty calories from additives and fillers. Try out this delicious recipe from Ilene Godofsky at the Colorful Vegan Kitchen, Vegan, Gluten-Free Chocolate Chip Banana Sweet Potato Bread. When all else fails, keep calm and carry dark chocolate. It helps every situation, has nutritional value, and it's place in my life needs no explanation. Beat the holiday blues, and know when they're something major. 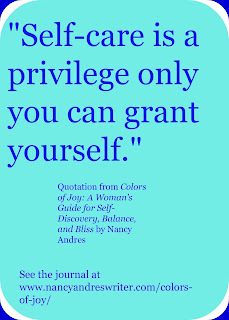 I've discovered through my own missteps and pain from experiencing the holiday blues, to be diligent with self-care. When I'm consistent with exercise, don’t skip or overindulge at mealtimes, follow through on work requirements, and meet personal needs for relaxation, it’s easier to prioritize my time. 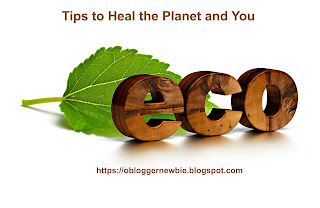 If I remember to don't have to do everything to perfection or by myself (I can ask for help), I'll maintain a positive outlook and have time and energy to connect with others. 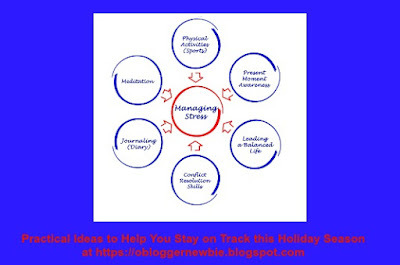 How do you deal with stress and maintain balance during the holidays? What holiday activities do you enjoy and which ones could you do without? Do you have tips to help us stay on track this holiday season? Please share them in the comment section below. If you feel this post can help others, please re-share. I'm sending my best wishes for a HAPPY, HEALTHY, HOLIDAY SEASON! The Quote for today is from Joyce Meyer. "I believe that the greatest gift you can give your family and the world is a healthy you." This post has been shared at the-homemaking-party-autumn-spiced-cornbread.